Having grappled for two days with an ever-evolving but beautifully perfumed ginger lily that I was trying to draw, it really resonated when I found a quote by Paul Klee. He said, "Art does not reproduce what we see; rather, it makes us see." I am always in amazement at the photo-realist artists who manage - often thanks to photographs - to reproduce in art exactly what seems to have been their subject matter. I find that when I am drawing or painting, I seem constitutionally incapable of reproducing exactly what I am seeing. I always want to alter something, move something elsewhere, eliminate something, exaggerate something else.. in an attempt to render a decent composition as well as an evocative work of art. Perhaps it is also the gardener in me - pruning, transplanting, fertilising; it does translate in a way to art-making! I think that there is nothing more important for an artist than learning to see, really see – the nuances of light and shade, colour gradations, forms and shapes, how things interlock one to another. Life drawing is a wonderful way of training one's eye and making one's hand coordinate with one's eyes. Once really learning to look becomes second nature, then there is somehow an authenticity in what an artist is doing, even if it is not always realistic. This painting is a perfect example of the results of his carefully looking at the scene and then transmuting what he saw into art. Think of how Paul Klee deals with this image of a flower, entitled Flower Myth. 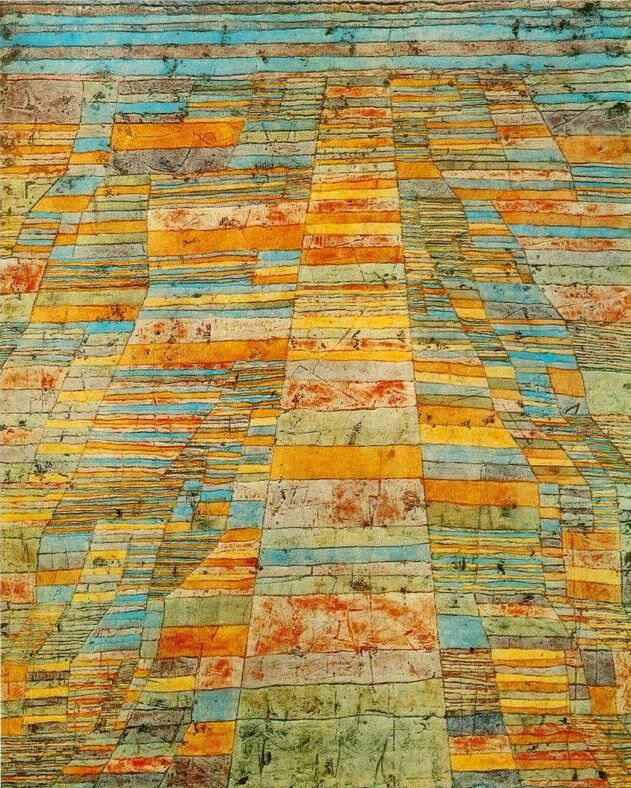 Flower Myth, 1918, Paul Klee, (Image courtesy of the Sprengel Museum, Hannover, Germany). He does know very well how a flower is made and put together, but he is now comfortable with turning it into a work of art, because he has "seen" it properly before. My sessions with my ginger lily obliged me to do somewhat similar alterations, simply becauseI looked and looked at the flowers, but tried to wend my way through their profusion and short life to produce a decent drawing.